Building a business is hard work but done right, it’s also a lot of fun. 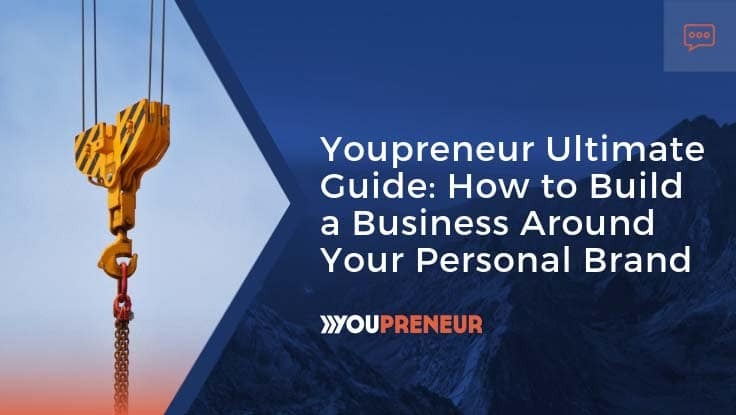 Youpreneur is all about helping you to build a business around your personal brand. You want to build a successful, profitable, sustainable and future-proof business that you can truly be proud of. 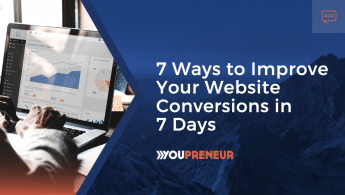 This article is packed with advice on how to build your business online, how to grow your email list, how to get started with social and how to start outsourcing to grow and free up your time. Are you ready to build a business based around you? Read on! Being a Youpreneur is about building a business around what you stand for. You need to let people into your world. This might feel a bit odd. We’re used to keeping work and home separate. Nowadays with social media people are used to seeing behind the scenes of your life. If they are going to trust you and work with you, your clients expect to know who the person is behind the name. Being honest about who you are and your values really will make a difference to building your business and making it a success. If you’re wondering where to start with this then here are my top 10 tips for building your personal brand. It talks through how to create a solid online brand for yourself including making it easier for people to follow you on social media, how to show up and the details you need to focus on to stand out. Still need convincing about the impact of creating a personal brand on your business? Listen to Pete Matthew from Meaningful Money talk about how he started out with video and then podcasting. The result? He built a reputation, trust, and his clients come to him. Ready to up your game and reap the rewards of a personal brand like Pete has? I asked 14 entrepreneurs who have built top-notch personal brand businesses to share their advice. From knowing who you are and what you do for people (more on that below) to showing up consistently, they dropped value bombs one after another. 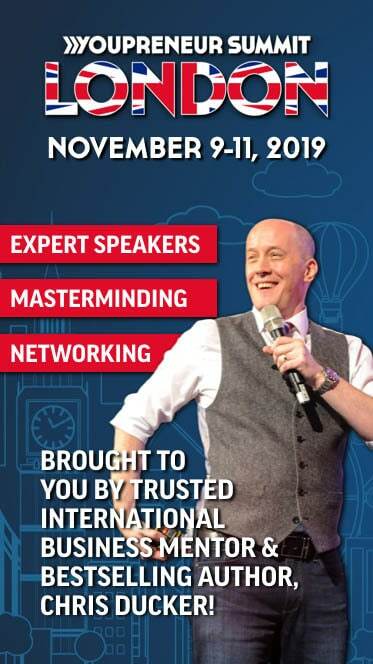 Want to hear what Chris Guillebeau, Pamela Slim, Amy Landino, Mike Stelzner, Janet Murray, Jay Baer and many more had to say? Listen to episode 300 of Youpreneur FM all about how to build a successful personal brand business. Who are you and what do you do for people? Defining who you are, what your key message is and how you help your clients is essential. This is what Michael Port referred to in episode 300 as your “who and do what statement”. How do you help? You also need to define your perfect customer. Who would you work with if you could work with anyone? Get a really clear picture of them, their problems, their motivations and their interests. You want to build people to people (P2P) relationships. You can’t do that if you don’t know who you are having a conversation with. You are building a business based around you personally but it will need an online home. Somewhere people can find you, walk in, and settle down to read what you have to say, watch or listen to you and start conversations. Listen in as I share some of my thoughts on the importance of building your online home. One question which gets asked a lot around personal brand is about how to choose between a personal or brand domain name. Having your own website means you can laser focus on what’s working for you. Analytics will show you where people are coming to your site from and what content they are consuming most. You can also use your site to build your email list. That all important contact list of people who genuinely want to hear from you and follow your every move. Every business needs an email list. 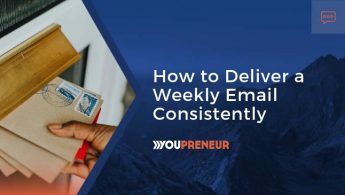 Here are 5 crazy simple ways to build your email list faster if this is something you need to work on. There’s some discussion these days about whether blogs are still relevant. After all, there’s so much content out there, how do you cut through? You absolutely need a blog. 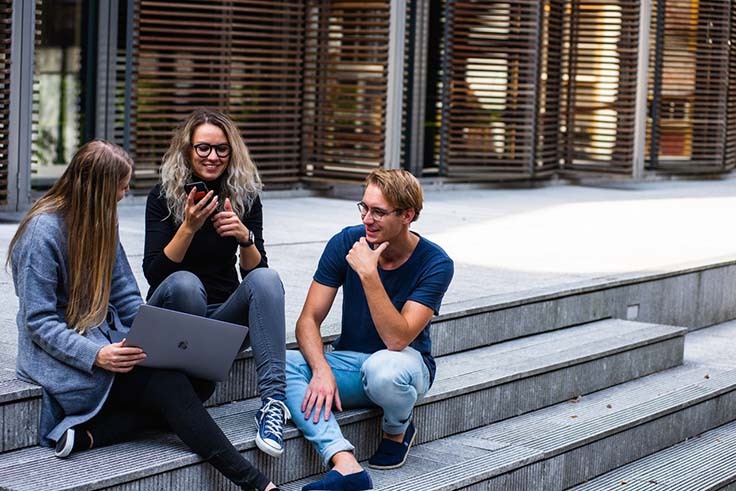 People respond to information in different ways and while plenty of people watch videos and listen to podcasts, many still enjoy sitting down and reading. You’re reading this, right? You’re quite a way into the article now so you’ve got staying power. You want to learn. Others do to. That’s where your blog comes in. It is also food for search engines. They love a well-written blog which answers questions people are typing in to them. Learn how to build a personal brand blog in the new digital age including how to get heard over the noise, create evergreen content and monetize. If you’re not already, you need to let your personality shine through in every area of your business. Your profile photo should be the same on every platform. It means people who want to follow your every move on Twitter, Instagram and LinkedIn know they have found the right person. You don’t put on a different face when you go to the shops or head to the office. It’s the same online. People want to know they are talking to the real you online or offline. You need a graphic designer to create your logo. You also need a professional photographer to take your profile photos. Yes your smartphone does have a decent camera in it but knowing how to take a portrait photo is a professional skill. Here are 5 reasons why you need a professional headshot as a personal brand entrepreneur. Social media is a great way to let people see behind the scenes in your life. A recent feature on Instagram and Facebook are stories. Why tell stories? Because they hook your audience in. They get to see what’s happening in your world and learn from you. They’re also time-limited (they disappear after 24 hours) so there’s FOMO to trade on there. If you’re not already using them, this guide on how to use Instagram Stories to build your personal brand will get you off to a flying start. So in the words of Michael Port, you have your “who and do what statement”. You know who you are, who you serve and what your message is. You’ve got a website set up and you’re engaging with people on social media. Now you need to focus on the next steps of building your business. For attendees at 2018’s Youpreneur Summit there were plenty of lessons about what they need to do next to build their business. Many people got so much out of the event that they wrote, sketched or recorded their top takeaways and shared them with others. From selling every day to avoiding shiny object syndrome (just because others a doing it, it doesn’t mean you should too), there’s a host of good advice in our Youpreneur Summit 2018 wrap-up. 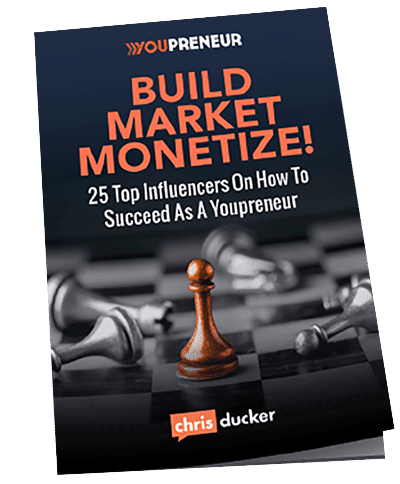 When I spoke to Gary Vaynerchuk about Building a Personal Brand in the 21st Century on Youpreneur FM, Gary spoke about the importance of two things: building attention and investing back into your brand. You might feel awkward about going out there and being vocal about who you are and your perspective. But as Gary V says, building attention is about more than making a name for yourself. You are creating a platform from where you can do good. You can make change. One way of getting your name out there and building an audience eager to hear from you is podcasting. Now this is not an easy route. Sure, everyone’s talking about it right now but it takes time and you need to stick at it. Create a show one person loves and they will tell other people about it. Here’s how to get started with podcasting to build and market your brand. Building attention and building your business means investing some of the cash you earn back in. Now it’s your money. You can spend it how you wish. But you will build your business faster and become more profitable if you reinvest into your business. If you are doing everything yourself then you can delegate regular tasks, freeing up your time so you can focus on doing what you do best. Our guide on hiring a virtual assistant explains what tasks you could give someone else to do and how to map out your processes so they understand how your business works. You’re reading up on the next steps of building your business, how to outsource, thinking about ways to build attention – you’ve come a long way, right? Take a moment to sit and think about that. How often do you think about your successes? It doesn’t matter if they’re big or small, every step you take when you’re building your personal brand business matters. Writing down your successes helps you look back with pride, pick yourself up when you’re down and appreciate compliments. If you’re not doing it already, now’s the time to start. Do you suffer from entrepreneurial wanderlust? If you struggle to finish a task, there’s a book you’ve been meaning to write or you never did press publish on that video series, then you need accountability. Set your goal, commit to it and finish the job. Ramona Rice-Grummel talks through how to focus on what matters right now and get it done in her article on how to recover from entrepreneur wanderlust.